It’s like something out of a futuristic sci-fi movie. You return home from the office and ANGEE’s motion activated tracking system swivels 270° of it’s 360° rotational capability to greet you and capture your image. This “all seeing eye” follows your every movement-tracking your movements around the room….awaiting your command. Although it has already determined that you are one of the authorized occupants of the home, via the Bluetooth signal in your cellphone, you dutifully respond and complete the second stage of the authentication process-providing your password. ANGEE processes your vocal signature and automatically completes the “disarm” process. Recognizing your pre-determined default setting desire for privacy…it stops recording. To accommodate your camera shy guest, you discreetely command ANGEE to turn around…and ANGEE obediently turns around and faces the wall…ensuring your privacy while awaiting your next command. The following morning…you grab your coffee to go, briefcase, cellphone and car keys…and rush out the door, without stopping to arm your system. Late again….but, no need to stop, turn around, juggle your things and fumble around with your keypad. ANGEE knows that you have left, and automatically “arms”…to stand sentry until you return. But, this isn’t some futuristic sci-fi creation…this is real world technology-which will be available for just $430 in October of 2016. ANGEE is the next generation of security cameras designed to integrate home security within an IP Camera. 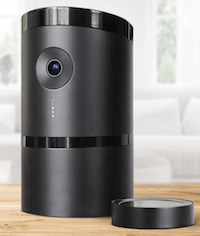 ANGEE is an autonomous home security and internet camera system looking to redefine the current limitations on home security, connectivity and convenience. And she’s a “looker”. Elegant and sophisticated …with the brains to match. Not only can ANGEE detect motion and monitor household traffic-letting you know whats happening with streamlined notification communication and video updates, but, she can also serve as an efficient personal assistant and pull up your schedule and answer the phone as well. BUT….you’ll have to wait to meet her(it). Unfortunately, ANGEE is currently in it’s pre-production and testing stages, while raising funds through Kickstarter with a target launch date of October of 2016. It is now being offered as low as $309, for pre-orders. So…what is so different about ANGEE? IP security cameras are nothing new. They have been around for a number of years….and can operate independently of a home security system, or can be incorporated into a comprehensive security system so that they will operate seamlessly and utilize the same user interface. 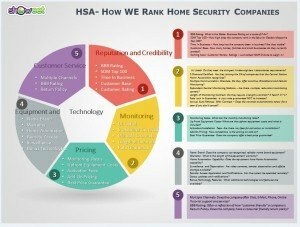 The most recent technological innovations of security cameras have been to integrate home security functions into the cameras so that they can incorporate limited security functionality as well. IP camera manufacturers are positioning themselves to attempt to become the next generation in security and home automation. 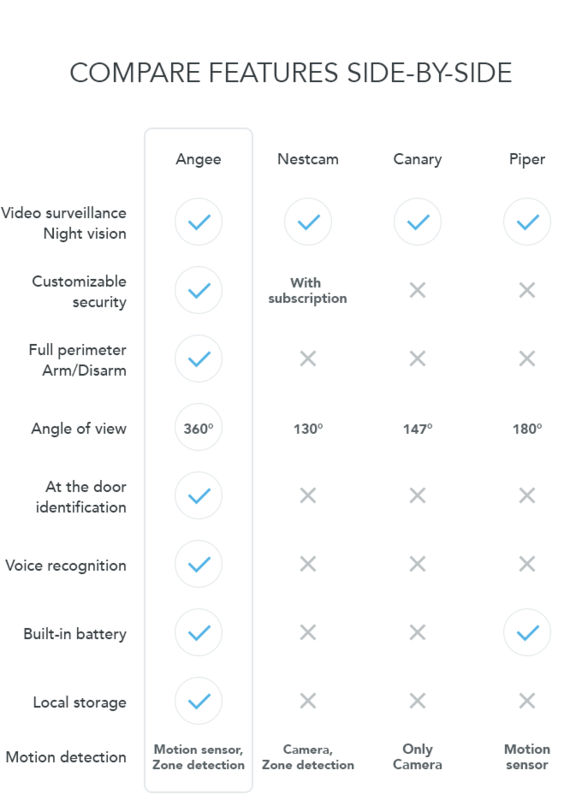 So what makes ANGEE different than other popular camera systems such as Canary, Nestcam and Piper? 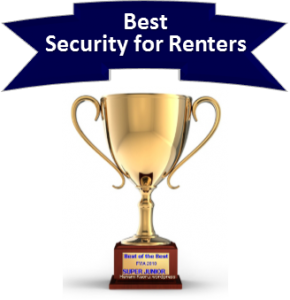 One of the primary objectives of the Angee development team was to create a security “system” which was entirely automated…The ANGEE website reports that 41% of burglaries that occur in homes with security systems take place when the home is unarmed. To ensure a secure environment, they realized that that they had to simplify and automate the arming process. To work…a security system needs to be activated. The system uses Bluetooth sensors, called tags, to detect movement and creates “geo-fences” which pair with users cell phones and arms and disarms the system automatically when it senses that an authorized user enters or leaves a protected area. Very cool….but, not entirely new. The same technology is available in Alarm.com supported home security systems. And of course, for those who don’t have phones or have them turned off, this can’t be the sole means of arming or disarming the system. But, ANGEE has you covered there as well..
Perhaps the most unique feature of the ANGEE is Voice Activation. The system is “armed” or disarmed securely by digitally authenticated voice commands. The system learns and analyzes the vocal patterns of authorized users. This way it recognizes simple commands and authenticates the users’ speech patterns to eliminate the possibility of unauthorized users who may have discovered the password. And this voice recognition system is not just a one trick pony. It can understand voice commands, search the web, pull up your calendar and perform many of the same functions as the popular Amazon Echo. Angee also offers a feature called zone detection. This enables the user to create up to 4 targeted zones to monitor. …and notifications to be sent if there is movement within that zone. Keep a special “eye” out on the liquor cabinet, sensitive office materials or even keep “Spike” off the couch…. And with the 2-way voice capability….you can issue a stern command to keep your pet from ruining the suede couch. While the list of features was initially pretty impressive, Tomas Turek and his team has set up a series of “stretch goals”. When each of these milestones are reached, the Angee team will include new features into the final product. To date, the Kickstarter program has raised over half a million dollars. While ANGEE is not yet available in the market, this product looks very promising. 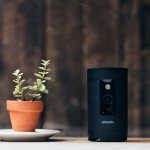 It aspires to combine a number of technologies-home security, motion sensing camera tracking, geofencing, voice recognition and voice commands…in an attractive and elegant package. If the ANGEE team can execute and deliver on these promises, they may very well have a product that justifies their relatively steep $430 price tag. 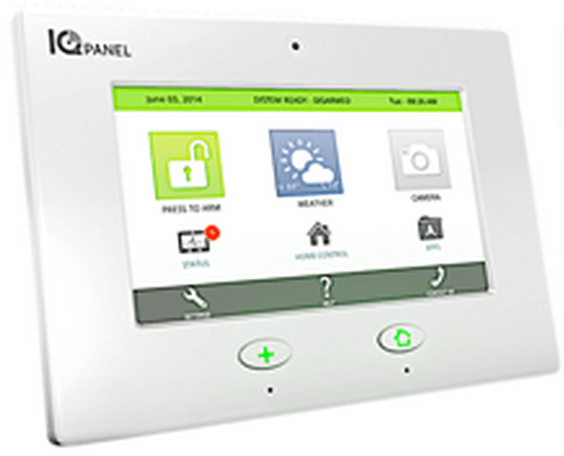 While, Angee doesn’t replace a comprehensive monitored home security system. It is an outstanding augmentation to virtually any home security system. 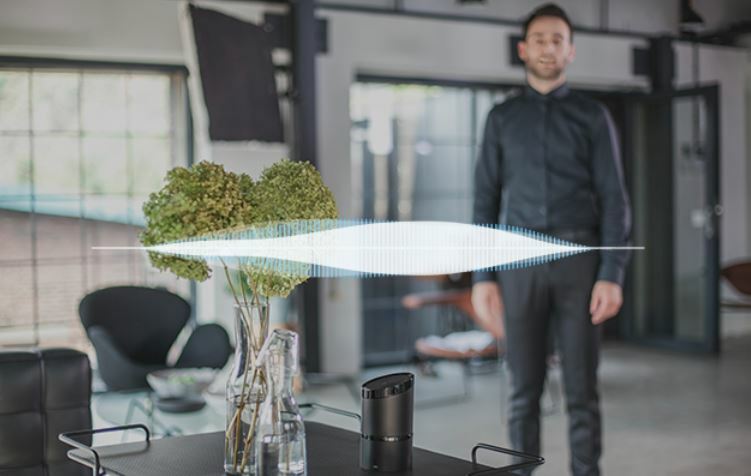 While it would require using a seperate user interface, the fact that this robotic camera offers all these features-with a complete 360 degrees of intuitive motion activated HD vision makes a compelling case to replace 2 or 3 fixed cameras with Angee! But…. there are quite a few questions that remain to be answered. How will ANGEE perform in the field? In a world where technology changes in the blink of an eye…how will the competition respond? Will they be able to bring the product to market quickly enough to gain an edge…and sustain it? Lots of questions yet to be answered…and The Home Security Advisor will be here to update you on future developments. As the Angee Kickstarter campaign approaches $600,000 early adopters are clearly excited about this product. And with good reason- it looks to be a game changer in the industry….and represents a lot of bang for the buck-especially with some very substantial pre-launch savings! Overall, the ANGEE team has a vision that looks very promising. The successful implementation of voice recognition may very well lead to the widespread adoption of the technology within the mainsteam security community. And, although the product is not currently available, it will likely be an attractive addition or upgrade to almost any security system- once it hits the streets in the fall of 2016. Angee is available now, during the current phase of the kickstarter program at a substantially discounted price of just $312…you SAVE $117 by reserving your Angee Security Cam here! Get your Pre-Launch Discount, Here…. Save $117.00! Order ANGEE NOW! 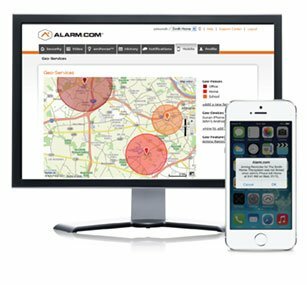 In the meantime…if you are looking to protect your home and family with the most current technology check out our Top Alarm Companies. Thank you for visiting. Please feel free to leave your comments on ANGEE-Next Generation Security Cam, below.